We have been asked to provide a new main entrance to a terrace house in Northumberland. This will be combined with garage space and a log store. 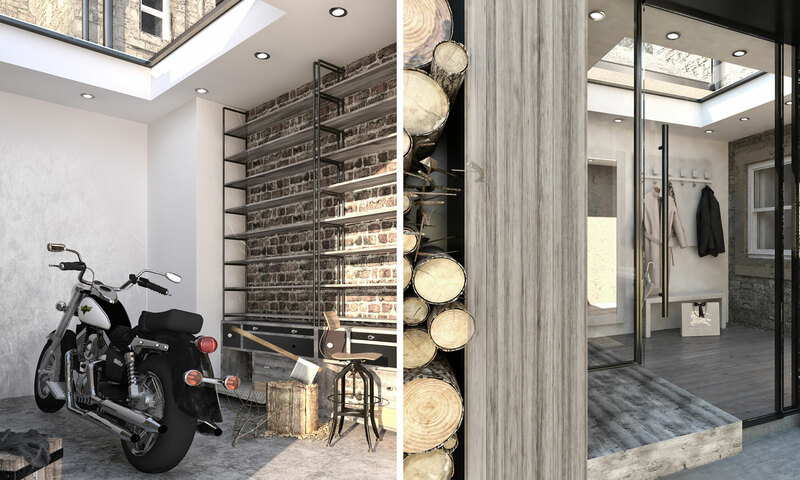 The scheme is to be completed on a shoestring budget and therefore requires innovative design solutions. 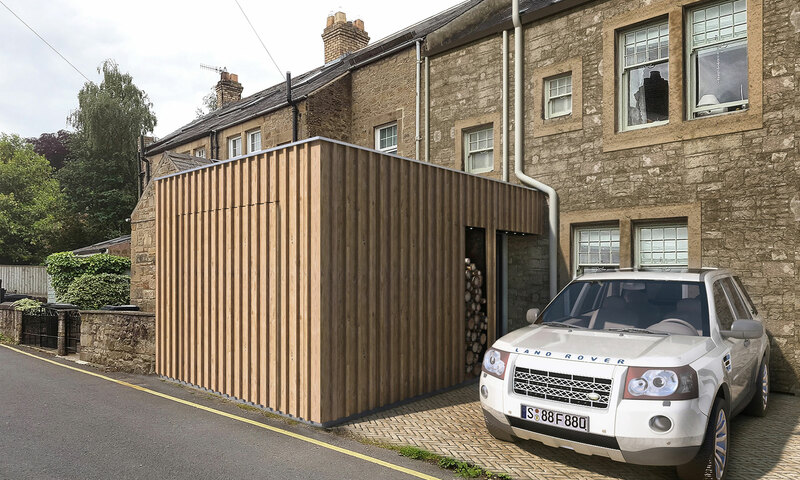 To save on excavations, foundations and building materials, we are proposing to adopt a shipping container to be rested on cheap support pads. 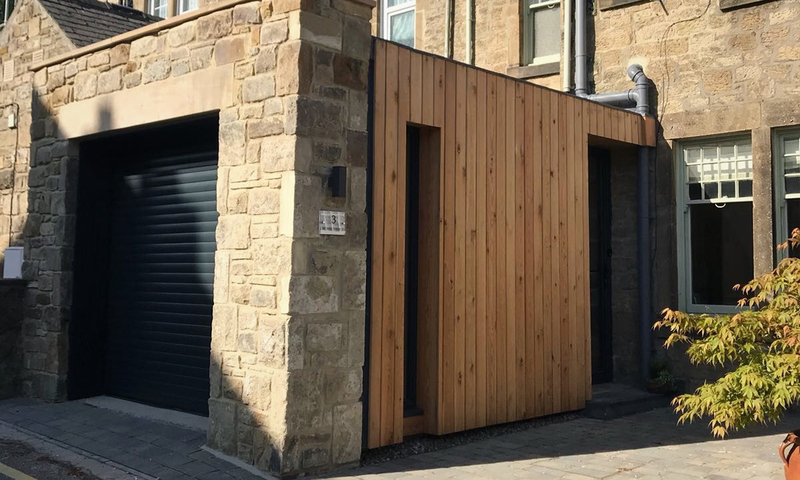 High quality timber cladding and thick internal insulation will update the container to an attractive and energy efficient structure. The addition of the flat roof windows to the structure allow for natural light to flood the internal spaces and spill into the existing ground floor rooms. Security is a big priority for the owners of Monk Terrace. Acknowledging this, we are hiding the openings within the facade to help mitigate antisocial behaviour toward the home.